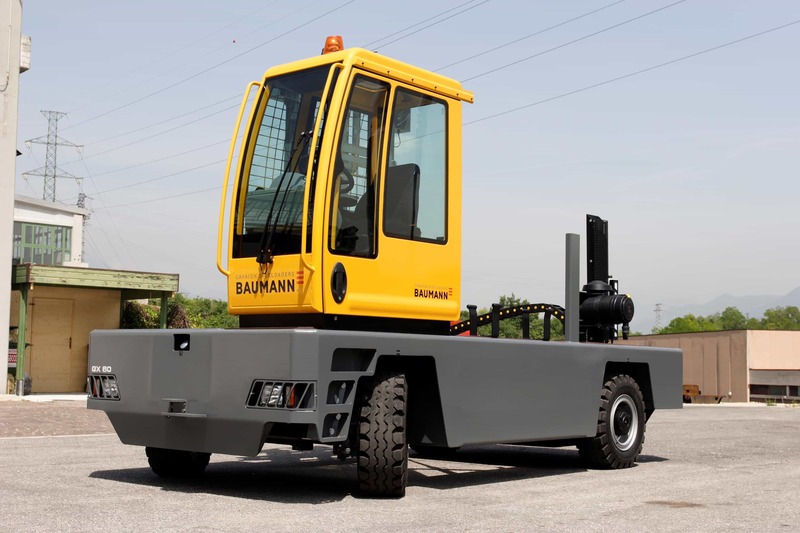 Baumann is the world’s largest producer of diesel, LPG and electric ranging from 3 to 50 ton capacity. 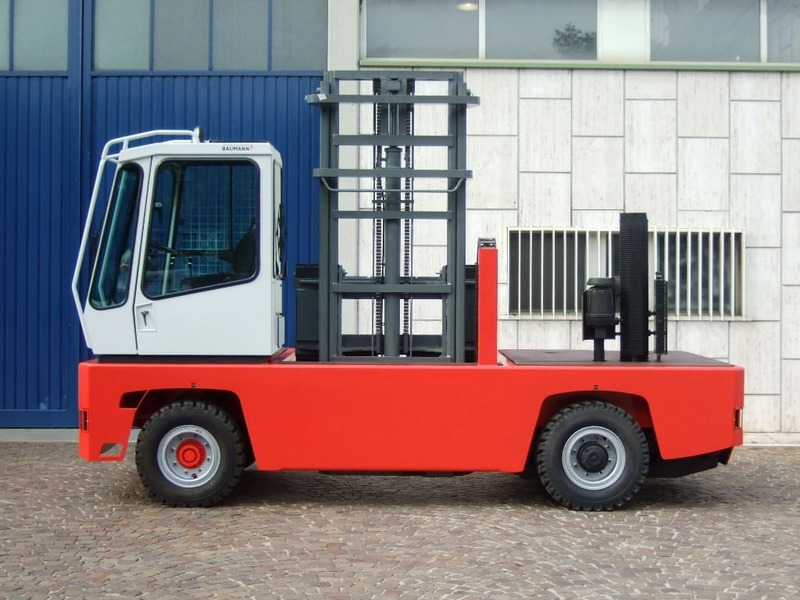 We have designed, developed and built sideloaders since 1969 in our factory in Cavaion, Italy. We still manufacture in the original factory, having added many buildings and new production process along the way. We care about our products and our team; our staff turnover is incredibly low and have often employed three generation of the same family. The very first service engineer we employed became our Technical Director before retiring; and remains a consultant for the company to this day. 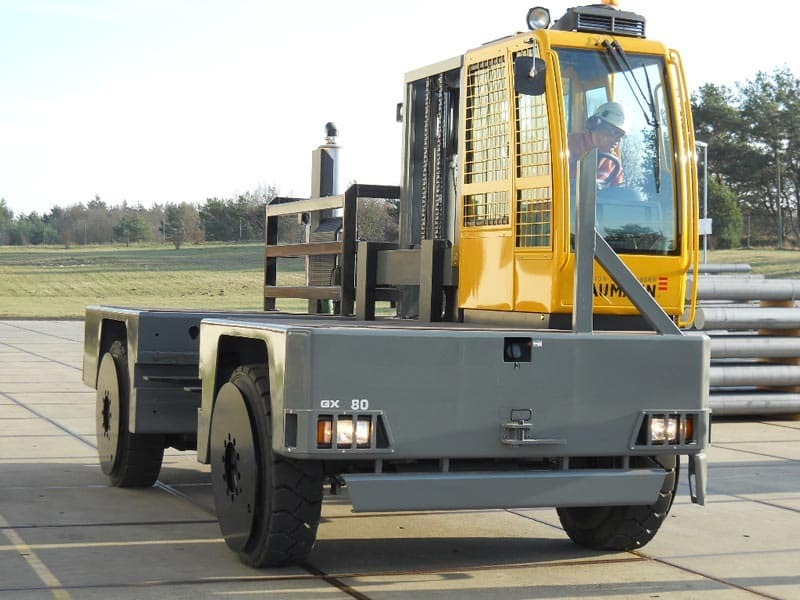 A key benefit of these 3 to 5 tonne compact sideloaders is a low platform height, which allows operators easy access to the cab and platform areas if needed. This powerful range of sideloaders is ideal for handling heavier applications in arduous conditions, ensuring that all machine components are working comfortably within their operational limits. 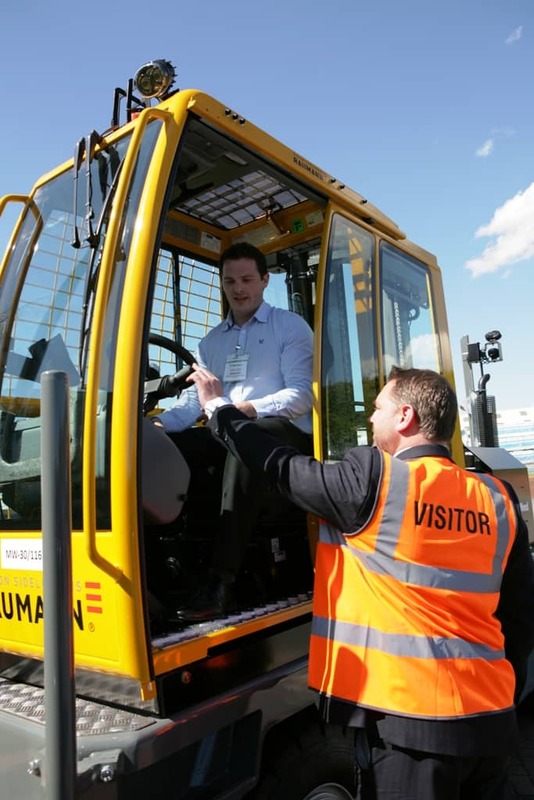 Our machines can cope with almost anything you can throw at them! Their solid steel outreach cylinders and bearings can be up to 50% larger than any other sideloader on the market. 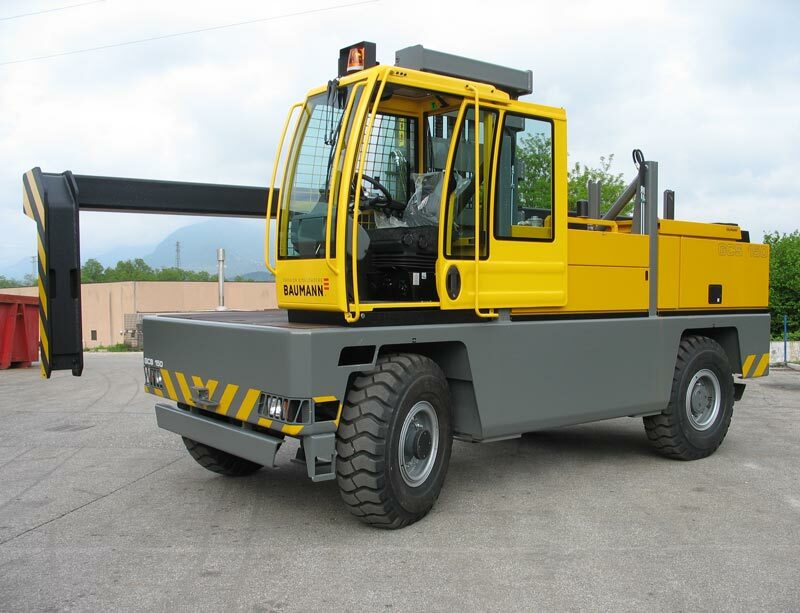 Baumann heavy duty steel chassis can be up to 3 inches thick around the well width, the area in which the forks operate. Operators are situated in reinforced cabs, surrounded by heavy duty steel mesh on windowed areas and solid steel plates in areas that don’t interfere with the driver’s line of site. To protect from falling loads, a solid steel cage surrounds the external region of the cab. 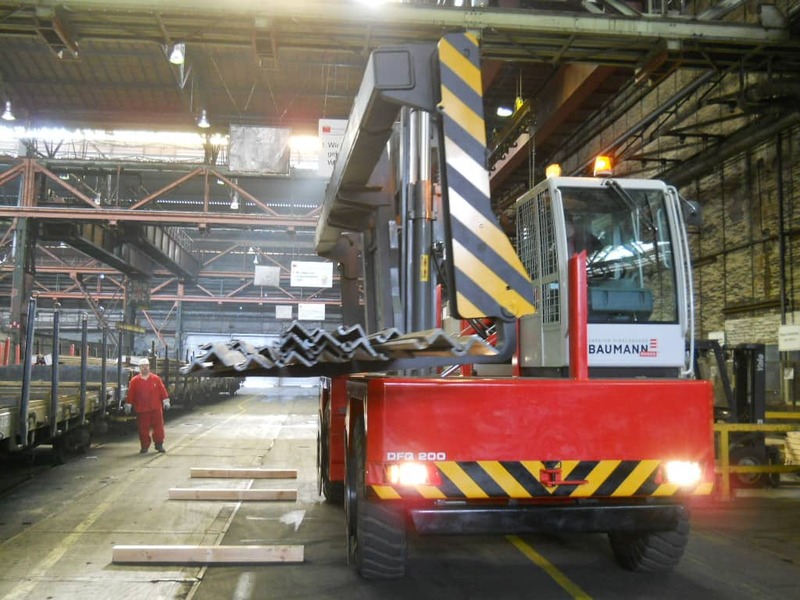 With constant reinforcement and development, Baumann sideloaders continue to be the backbone of heavy industry and provide invaluable transport over long distances and in some of the most extreme environments. Baumann Cavaion products are sold throughout the world; in fact to over 70 countries. 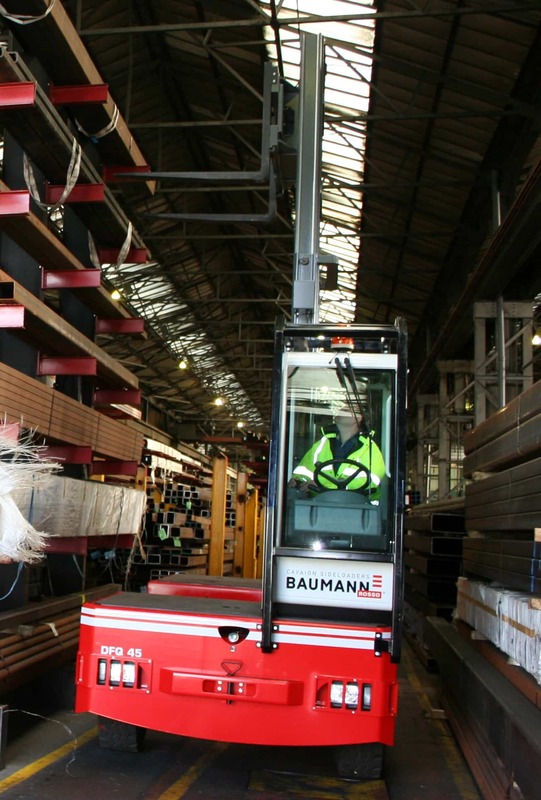 Baumann Cavaion only produces side loaders; although we produce a wide range of trucks, suited to a wide range of materials handling uses, we produce nothing else. We know our strength and we like to focus upon it. Baumann Cavaion is still owned by Mr Wolfgang Baumann;we are not part of a huge global corporation and rather proud of it! It means we can focus on just one thing – making the best sideloader possible. 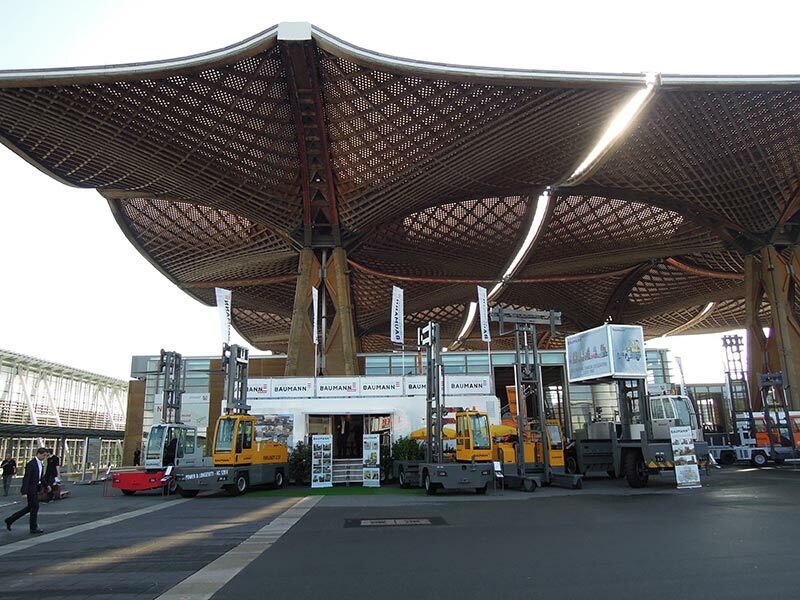 The timber and steel industries are the two main markets where sideloaders are used. 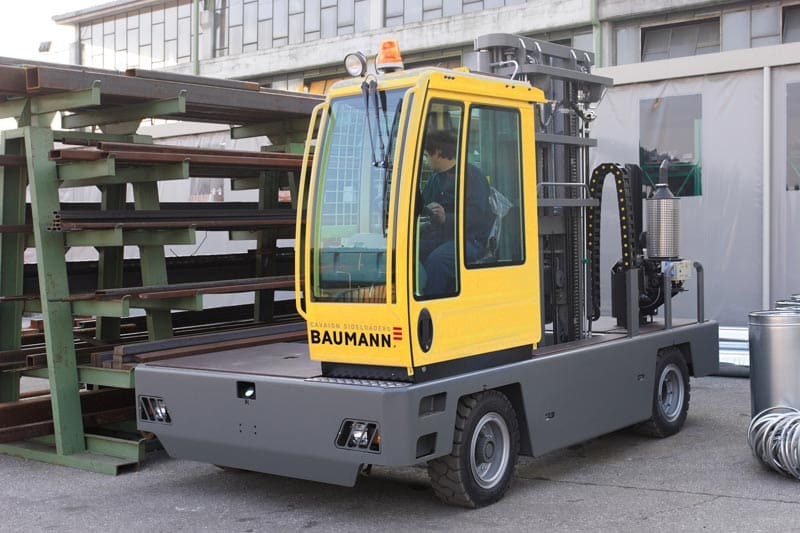 Because of their quality and special features, Baumann sideloaders have many more applications. Our sideloaders are used by companies throughout the UK and worldwide to handle their goods in a much faster and safer way. We are the leading manufacturers of sideloaders and regularly design and modify equipment to provide the best possible option. Carrying the load at the side is immediately beneficial as there is a reduction in the risk, especially when transporting cumbersome goods over various distances, such as timber, steel girders or long vehicle chassis. Transported these by forklifts would require the load to be carried sideways on. This immediately causes several problems as it increases the width of the vehicle and therefore problems with storage. It is not feasible either, for the goods to be carried lengthways as this would cause an overbalancing of the vehicle and an increased risk towards the operator.